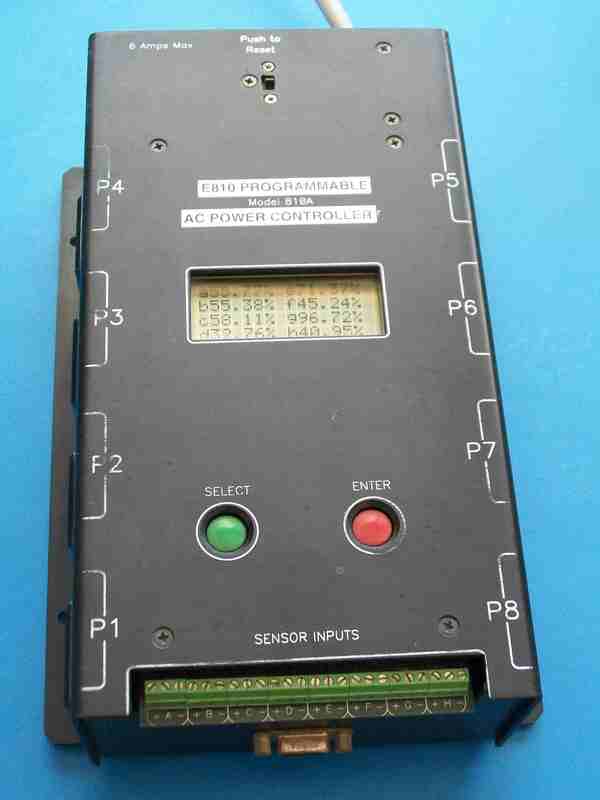 E810 Programmable AC Power Controller | Locus Engineering Inc. The E810 Programmable AC Power Controller allows eight AC loads to be independently controlled from a combination of sensor, period or time inputs. Any of 69 modes can be quickly programmed for each channel. Sensor connections are made at a terminal block which provides a 7 volt current limited supply. An internal rechargeable battery allows the controller to continue monitoring and download sensor information in the event of a power failure. The controller can be used in local or remote mode via a serial link. Sensor readings and output status are updated on a serial link every second.